Are you prepared to wield your God Arc anywhere, anytime? It was confirmed today that both online and cooperative play will be possible on the Nintendo Switch. Those who pre-order will receive the Estelle and Yuri costumes and hairstyles from Tales of Vesperia. Guess Xbox One gamers are the only ones currently left out. 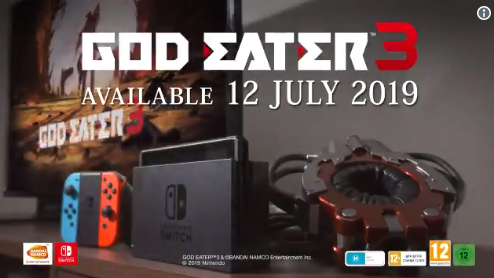 Recently, a new patch was released for God Eater 3. Check out more on that here. God Eater 3 is now available for PC and PS4.